Here is the second pirate for my little Frostgrave warband. 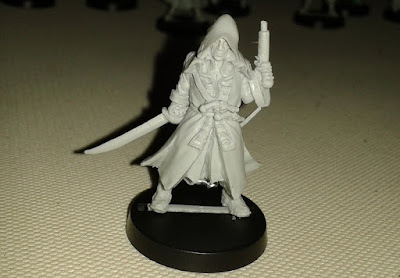 This model is a ship's surgeon, but I think he looks more thug-like so I hereby declare him to be a Frostgrave Thug! 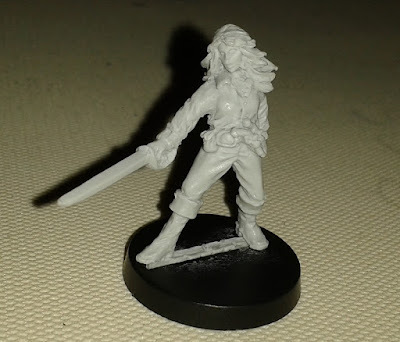 I know what you lot are like so I'll start by saying from the outset that I know that this model isn't a model of an archer. 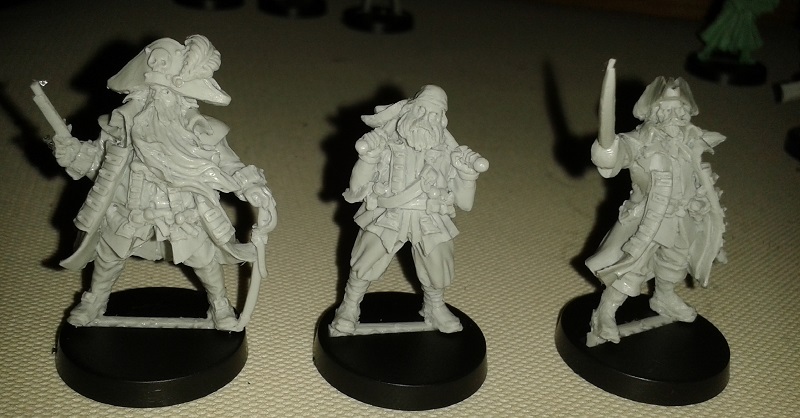 I wanted a warband based on pirates because my lad loves pirates. You can't get pirates with bows so I'm saying that pistols count as bows. As there are only going to be 13 models in my warband, I decided to depart from my usual method of painting units in a production line style to do one model at a time. My logic is that as each model is unique that I will treat each as a character in its own right and give it a bit more attention than a unit member would normally get. The models in this force are fantastic minis and worthy of a bit of extra attention so it feels like the right way to go. They're resin miniatures from Black Scorpion. 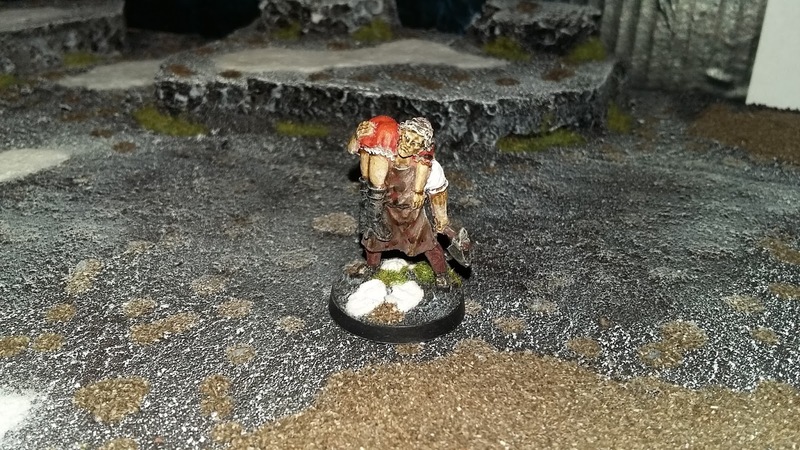 I'm still not claiming to be painting to a quality better than Acceptable Tabletop Standard, by the way. 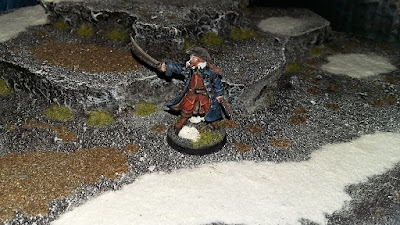 So here's the first of the pirates for my Frostgrave force. Time for another new venture! Another non-GW game. 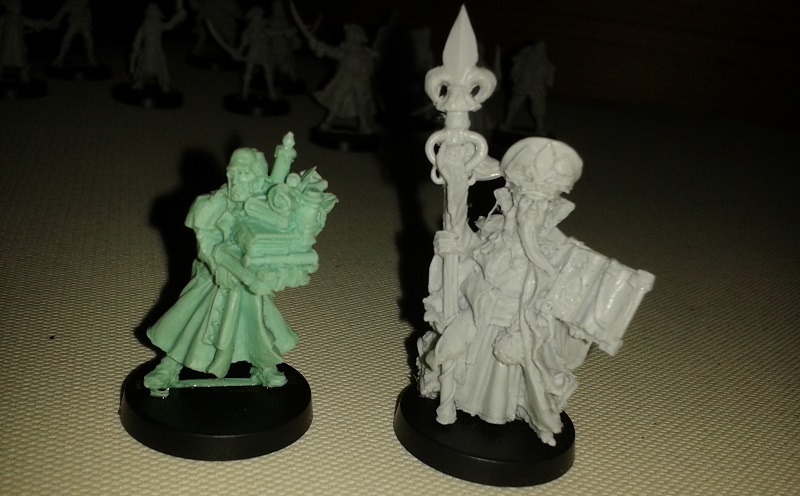 More non-GW models. 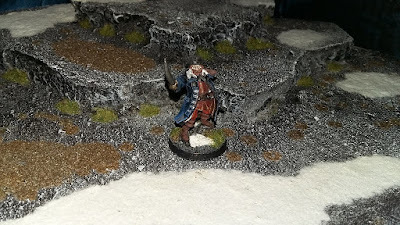 I'm making a foray into the Frostgrave game - it looks like a blast and will give me loads of room (and some motivation) to work on some scenery pieces too. My lad loves pirates so I've decided to go with a pirate-themed warband. 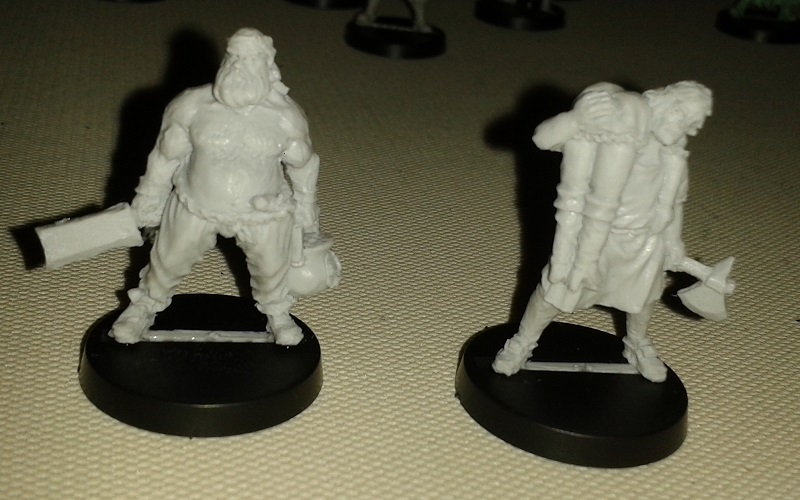 After some searching I found these awesome models from Black Scorpion - £2 ($3US) each for high-quality resin models! Incredible! I don't know what role she will fill yet. 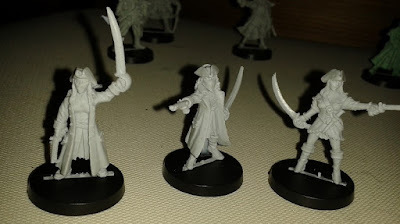 I'll probably use these shifty-looking characters as basic Soldiers - I'm going to try to replace the guns with shields. Not sure what I'm going to do with the chap in the middle. These classifications are subject to change as I see which models will accept shields and which I can sensibly trim pistols from and whatnot. So here I present my final post for this Saga project - a group shot of the entire Anglo-Saxon force, complete with shield decals in place. 41 models in total. This was a very enjoyable project and a pleasant departure from working on GW stuff for me. 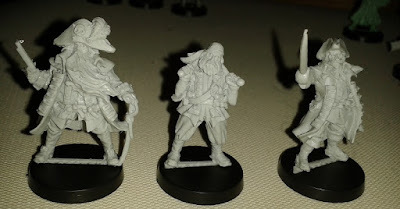 I'm going to knock out a little warband for Frostgrave next (Pirates! 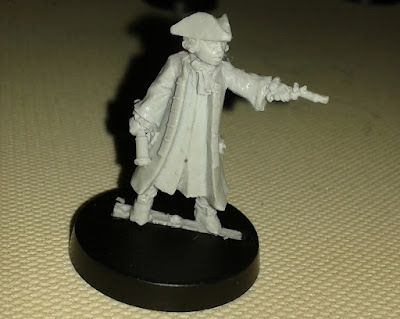 Arrr!) and then get back to some long overdue GW stuff. Thanks to everyone who's taken the time to look in on my little project. 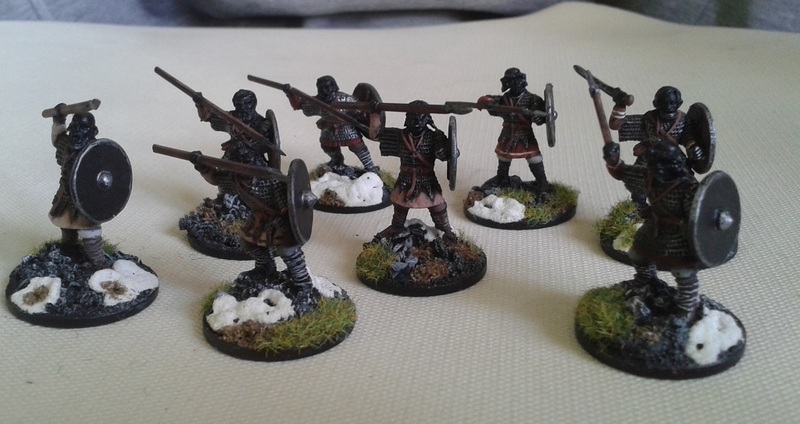 Work has completed on my current Saga unit and therefore my current Saga project! Woohoo - another one in the can, as the movie people say. 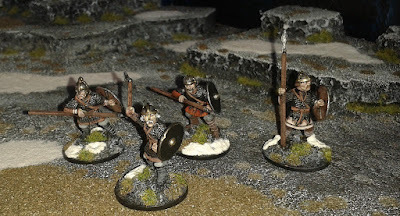 I did get myself some shield decals and I have to say I think the minis are looking better for them. 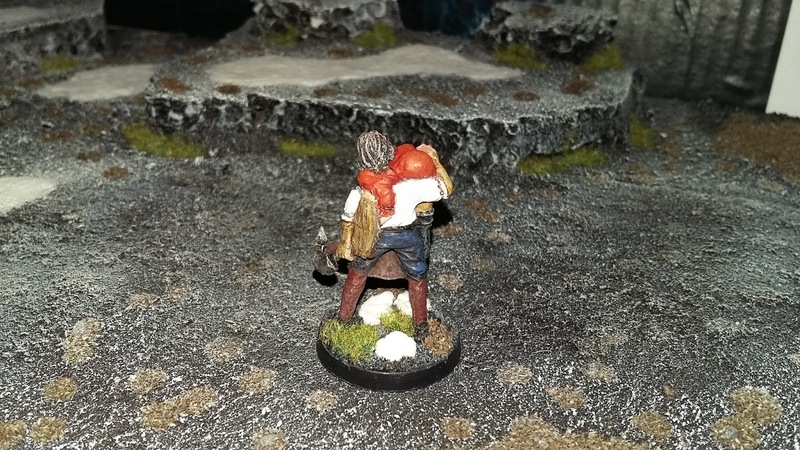 They're very fiddly to work with (Little Big Men decals sold through Gripping beast Minis) and need to be individually cut out with a craft knife. They do, I think, look good, though. 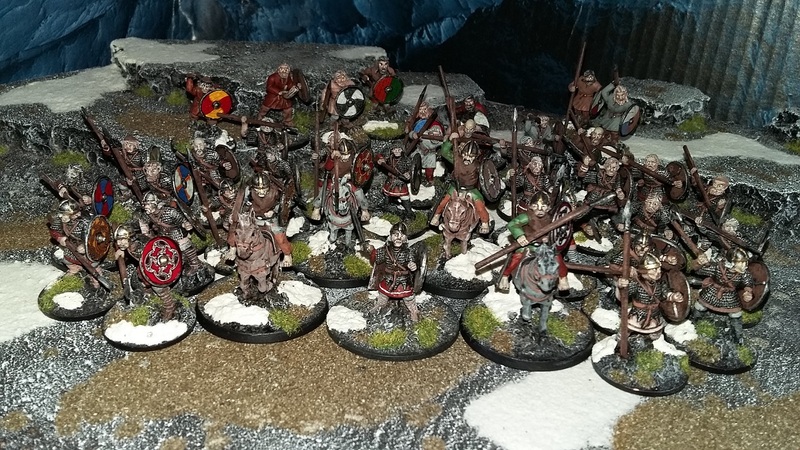 I'll get a group shot of all the models in the whole warband (with their decals!) for my "Family Album" page. And now they have trousers and boots! That just leaves skin tones and hair to finish them off. I can almost taste the end of this project now. I think I'm going to get some shield decals for these guys. It's getting exciting now - this project is almost finished and the next one (a small force for Frostgrave) is waiting in the wings. In fact the work is queueing up like a sort of rowdy rabble, jockeying for position. Some work done on clothing - all the under-armour tunics have been completed. I'm not sure what will get done next - will it by my "long-overdue" Fantasy Undead? My "steeping in a bucket of Dettol for months" Traitor Marines? My "Woohoo GW are bringing Epic 40K back!" Ultramarines? Or my "Just bought a copy of Ronin" Samurai? Or should I finish my Tau? Should I paint my Imperial Knight? 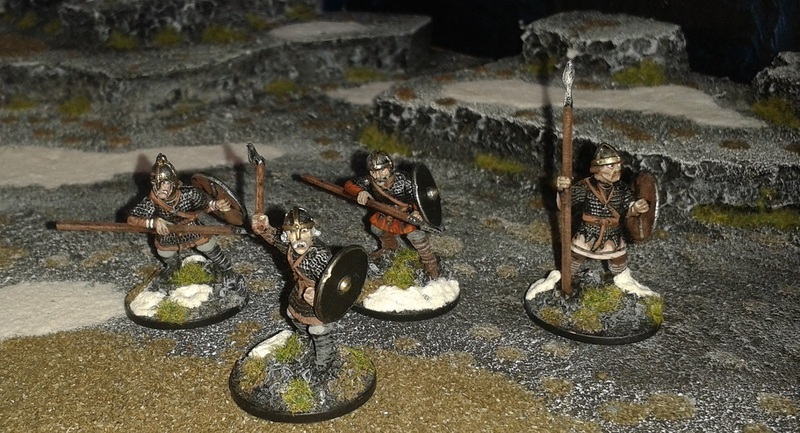 Or should I go back to Saga and do my Strathclyde Welsh or Vikings? 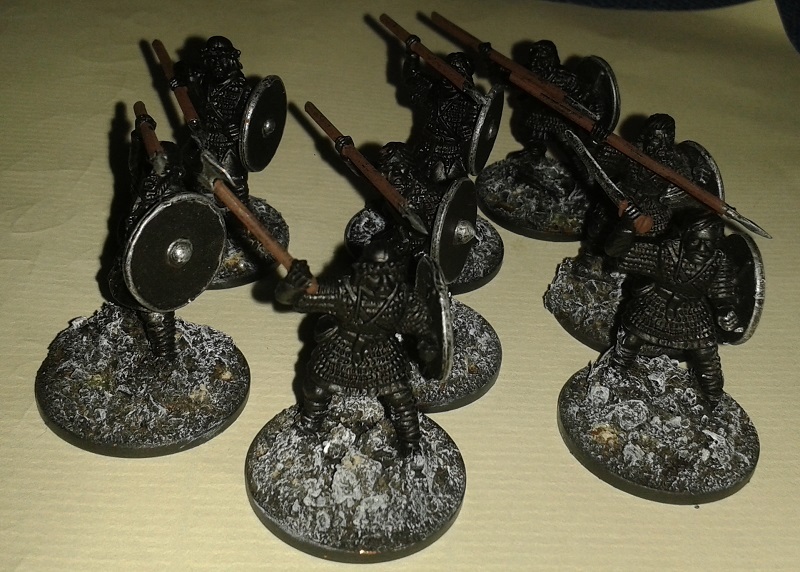 Some more work done on my last Anglo-Saxon unit - armour drybrushed, leatherwork done. It ain't much, but it's progress. 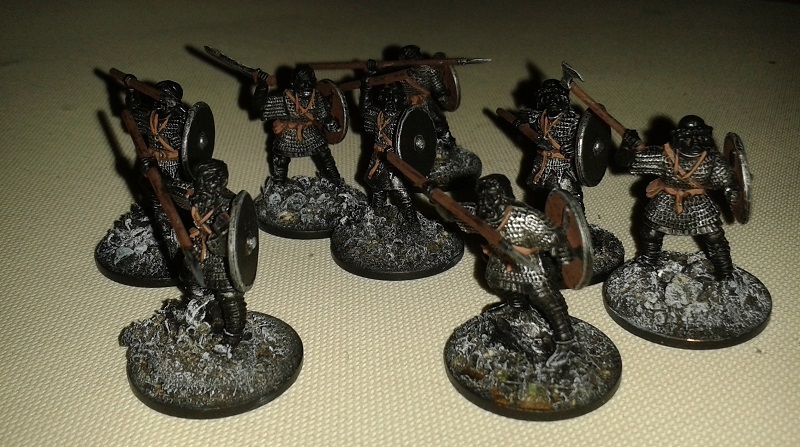 Work has begun on the final unit of my warband. I'm representing Anglo-Saxon warriors by again using Gripping Beast "Saxon Thegns" with heads taken from the "Dark Age Warriors" sprues. 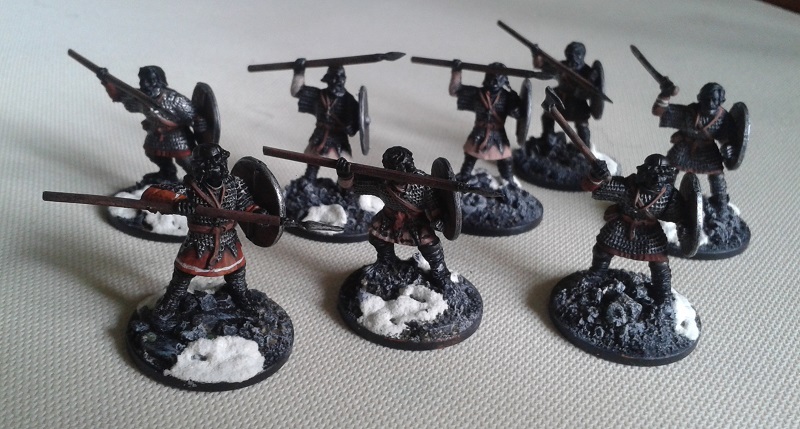 I'm doing that to differentiate between the Warriors and Hearthguard. So here they are with their bases drybrushed, the metal portions of the shields and weapons drybrushed and the woodwork on the weapons painted. My penultimate unit is now complete! Woohoo! Just one left to go. So here I proudly present another unit of Gripping Beast Saxon Thegns representing my hearthguard.